Today, food and beverage (F&B) manufacturers and distributors have a unique opportunity for a competitive advantage by unifying their data and operations through connected systems. The Food Safety Modernization Act (FSMA) puts pressure on F&B companies to improve the management of their manufacturing and distribution data, including product-specific data, to ensure consumers are buying products that are fresh and safe. 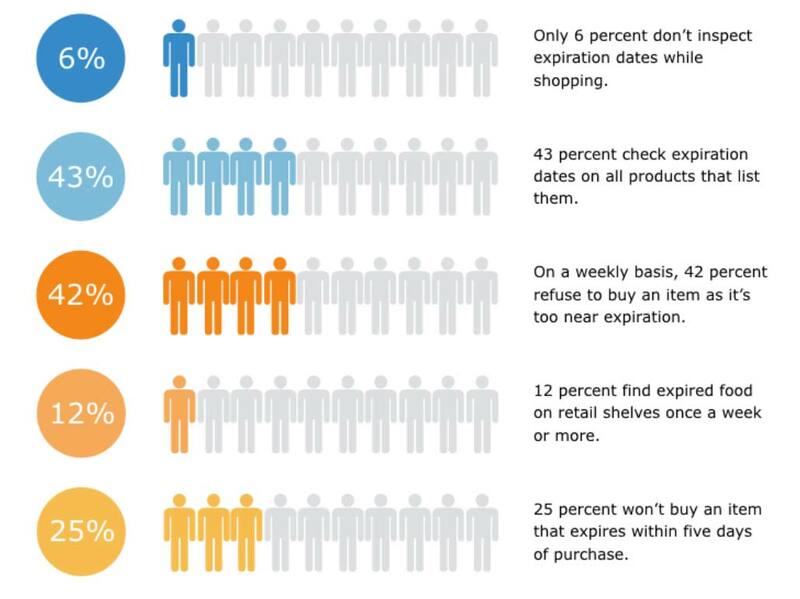 At the same time, consumers have become savvier about the safety of the food they eat, particularly when it comes to product expiration dates. To win in this environment, you must earn the trust of the stores you supply; if they trust you, they’ll feel confident that your products on their shelves won’t lead to business-damaging issues like safety recalls. In turn, this improves their customer relationships. How your IT systems manage and interconnect each area is the focus of this blog. The recipe is the core of each product you sell, but managing recipes has become complex. Today, your recipes must meet the higher nutritional values consumers demand, which often leads to the constant adjustment/balancing of recipe ingredients based on nutritional variations and ingredient interactions. And through everything, you can’t forget product cost, because you need to stay profitable. Since recipes drive material purchases, the information system must track the quantity of raw materials on hand as well as the quantity necessary to satisfy sales forecasts. With proper automation capabilities, the system should enable workflows that automatically initiate orders of raw materials in line with sales forecasts and anticipated production needs. The system should also allow developers to incorporate quality control test data and manufacturing personnel to attach manufacturing instructions to recipe data. And, for complete batch traceability, the system must track raw inputs back to individual suppliers. FSMA mandates higher levels of transparency from manufacturers and distributors while consumers want more products that are free from allergens, GMO ingredients, and chemicals. Traceability data should be automatically associated with production data, and the system should automatically trace ingredients at each production stage and maintain lot- or batch-specific data. This makes tracing product more meaningful, as each traced batch can yield its quality control data as well as all raw material supply data, making it easier to isolate problems and find resolutions in the event of a product recall. An interconnected system also includes continuous expiration date tracking. By appending expiry data to your existing automated data flows from lots and batches through the supply chain (on the delivery side), you achieve most of what your customers need to optimize shelf life. Since you would already perform most of this with traceability, expiry management is a natural, incremental step. While this post has centered on the hot topic of managing product expiry and traceability, one can never exclude the production management aspect for F&B producers. To manage production accurately and efficiently, the information system behind production management must bring valuable data inputs from across the organization together. Your underlying system(s) should integrate sales data, demand forecasts, supplier restrictions and incentives, lead-time forecasts, machine/production line availability and utilization, etc. It’s clear that production management has a high degree of need for interconnectedness among IT systems across key operational areas, particularly with CRM and SCM systems. To perform quality control correctly, food manufacturers need an underlying information system that unifies batch-related data, which includes results from sample testing, expiration dates, traceability data, and manufacturing QC data. As such, the IT system should allow for modeling of processes and automate them so QC data becomes tied to every batch produced. This begins with pulling data about raw material and raw material suppliers, moving through production and extending out to data surrounding retail-level product returns and consumer-satisfaction data. Procedures should exist for notifying responsible management in a timely manner of regulatory inspections, serious GMP deficiencies, product defects and related actions (e.g., quality-related complaints, recalls, and regulatory actions). Food and beverage companies need to deliver greater transparency to their customers to win over today’s discerning consumers – without losing cost efficiency. By seamlessly integrating recipe management, traceability, production management, and quality control, you can deliver what your customers need at a lower cost. If your company lacks the IT infrastructure for this, you should investigate modern ERP systems. No other system can connect people, processes, and data across the entire enterprise and extended F&B supply chain as quickly and efficiently as modern ERP. Contact us today to learn more.